June brings warm evenings with slightly cool breezes that set the scene for lovely outdoor dinning. Since the beginning of spring, we’ve been grilling nearly every evening and spending the nights gathered around our patio table enjoying delicious food. One of my favorite things about the season is inviting friends over to enjoy good conversation over a good meal. 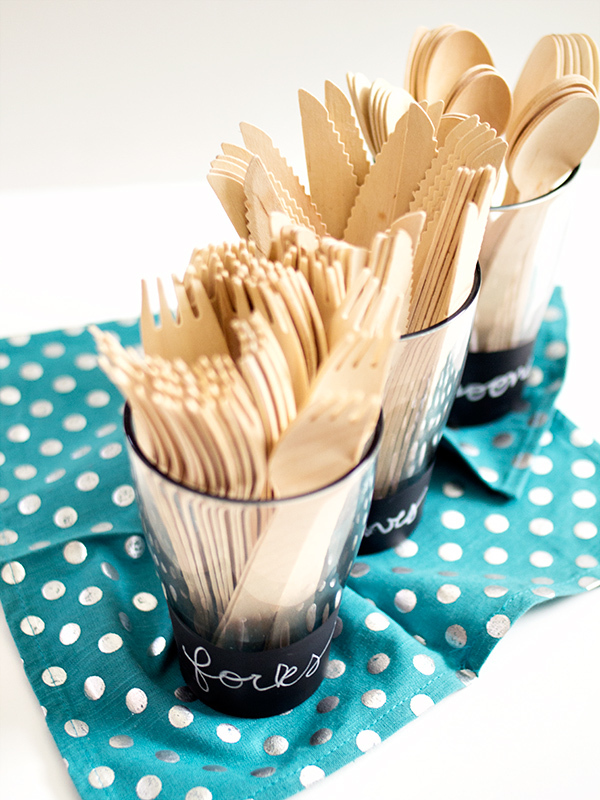 I usually serve the food buffet style and place the utensils in cups at the end of the table. 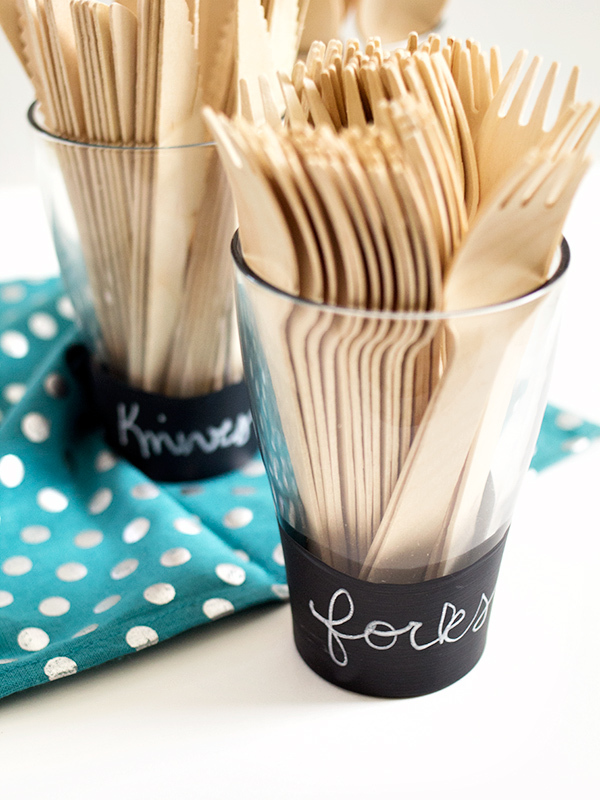 To add a special touch, I decided to customize some simple glasses with chalkboard paint that not only serve as utensil cups, but could also be used for beverages, like the blood orange cocktails. All you need are simple glasses (mine are from Ikea), chalkboard paint, a small foam brush, and chalk or chalkboard markers. Paint the chalkboard paint around the bottom sides of the glass and allow to dry completely, according to the directions on the paint container. 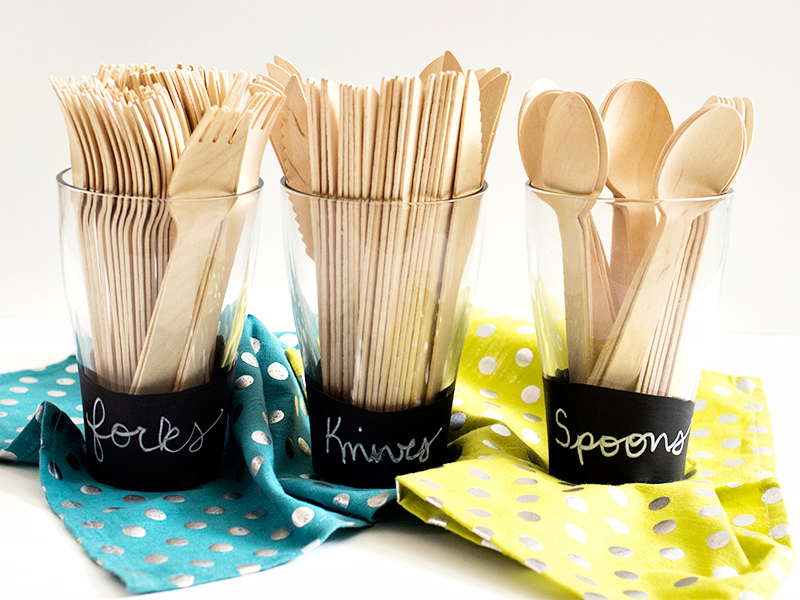 Then use the chalk or chalkboard markers to label each cup. So simple! 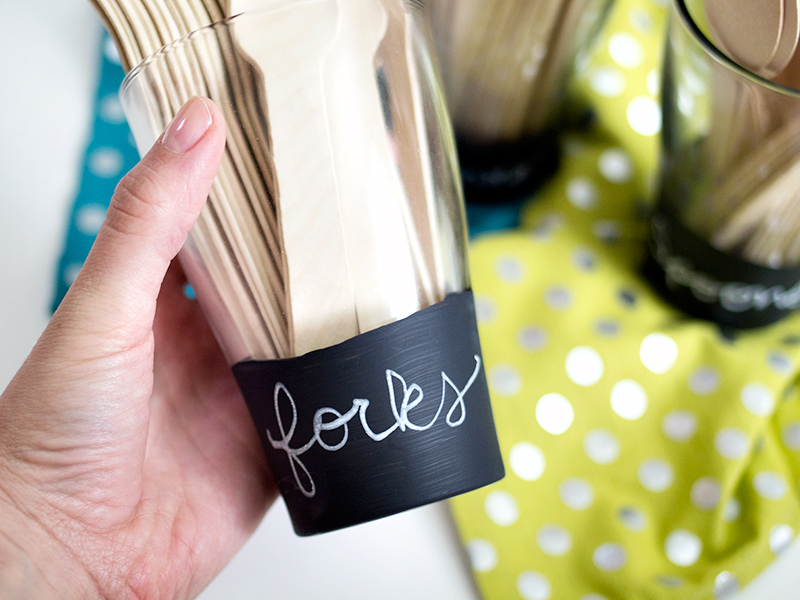 The post DIY Chalkboard Utensil Cups appeared first on The Flair Exchange®.